The Indian Health Service (IHS) Diabetes in Indian Country conference is accepting proposals on nutrition, diabetes education, Special Diabetes Program for Indians Best Practices, Physical activity, and trauma informed approaches to health. Click here for more information and to submit your proposal. American Indian and Alaska Native youth ages 14-24 years old are eligible to apply for Community Changemaker Grants. These are small amounts of money ($250) that can help supercharge a YOUTH-led and YOUTH-planned health event. Read more information and download the application here. The Northwest Portland Area Indian Health Board is accepting applications for the Tribal Researchers’ Cancer Control Fellowship. Accepted fellows will learn more about the topics of: cancer epidemiology, cancer screening, cultural considerations, and others related to cancer and American Indians. To learn about this fellowship, Read more here. Apply for this fellowship here. The Council of State and Territorial Epidemiologists (CSTE) is providing funding to support joint meetings between state and Tribal entities to promote partnership between states and Tribes for data sharing. CSTE will support up to four meetings to be held by July 31, 2019, providing sponsored travel for up to five attendees, meeting space, and meeting facilitation. Read more here. The Substance Abuse and Mental Health Services Administration (SAMHSA), Center for Substance Abuse Treatment (CSAT) is accepting applications for the Minority AIDS Initiative - Substance Use Disorder Treatment for Racial/Ethnic Minority Populations at High-Risk for HIV/AIDS grants. The program was created to increase engagement in care for racial and ethnic minority individuals with substance use disorders and/or co-occurring substance use and mental disorders who are at risk for HIV or are HIV positive that receive HIV services/treatment. Read more here. The CDC is offering a 5-year funding opportunity with the purpose of reducing rates of death and disability from commercial tobacco use, diabetes, heart disease and stroke, and reducing the prevalence of obesity and other chronic disease risk factors and conditions (e.g., oral health, dementia, COPD) in AI/AN communities. Read more here. The US Department of Agriculture(USDA) is offering grants from $2000 to $220,000 for projects to provide nutrition education to participants in the Food Distribution Program on Indian Reservations (FDPIR) program. A wide variety of public health approaches could be funded under this opportunity. Read more here. The Bureau of Indian Affairs (BIA), Office of Justice Services (OJS), and Indian Highway Safety Program (IHSP) are soliciting proposals for implementing traffic safety programs and projects designated to reduce the number of traffic crashes, deaths, injuries and property damage. Indian Highway Safety Grants are reimbursable grants available to federally recognized Tribes. Read more here. The Center for American Indian and Alaska Native Diabetes Translation Research (CAIANDTR) at the University of Colorado is pleased to announce availability of funding for pilot and feasibility projects to support translation of diabetes-related interventions and treatments of proven efficacy into American Indian and Alaska Native (AI/AN) populations. This opportunity provides funding to support secondary analyses investigating important questions related to diabetes translation research in AI/AN populations. Read more here. The federal government is seeking direct input from stakeholders on two key strategic documents that guide federal programmatic and policy decisions – the National HIV/AIDS Strategy (NHAS) and the National Viral Hepatitis Action Plan (NVHAP). In response to this request for information, NIHB is collecting comments, input, stories, and information on HIV and viral hepatitis prevention, care and treatment. Online comments are due to NIHB by March 4th. To submit your comments to NIHB online, Click here. NIHB will also be hosting a virtual session where people can share their verbal comments with NIHB staff, who will in turn capture the comments and combine them with the written comments to submit to HHS. The session will be on Friday, March 1, 2019, 4:00pm – 5:00pm ET. click here to access the webinar and use password “HIVHCV”. The call-in information for the virtual session is as follows: 1-877-668-4493, access code: 731 046 018. If you wish to submit your own comments directly to HHS, you can do so by following the instructions on this page. Comments are due by March 11th, 5:00 pm ET. Should you have any questions, contact Robert Foley at [email protected]. The First Nations Development Institute Native Youth and Culture Fund supports projects that focus on AI/AN youth and incorporate culture and tradition to address drug and alcohol abuse, teen pregnancy, mental health, and/or other social issues. Read more here. The National Institute on Minority Health and Health Disparities (NIMHD) will host the Health Disparities Research Institute (HDRI) from August 12-16, 2019, in Bethesda, MD. The HDRI aims to support the research career development of promising minority health/health disparities research scientists early in their careers and stimulate research in the disciplines supported by health disparities science. The program will feature lectures on minority health and health disparities research, mock grant reviews, and seminars and small group discussions. Read more and apply here. In an effort to honor individuals, Tribes, organizations, and programs that have enriched and improved American Indian and Alaska Native public health and behavioral health, NIHB invites nominations for the Native Behavioral Health Award (Hope and Healing Award). All nominations should be received by 11:59 pm ET on Thursday, February 28, 2019. Winners will be notified within three weeks upon close of the nominations. Read more here. NIHB is taking applications for its next class of the Health Policy Fellowship for Native Youth through March 30. The fellowship immerses participants in health-related discussions and policy solutions during its year-long progression. Fellows work with Tribal leaders, policy specialists and public health experts to become health policy advocates who identify and help solve problems related to Indian health through policy solutions. To meet some of the fellowship alumni, click here. To learn more about the fellowship and to apply, Read more here. The Substance Abuse and Mental Health Services Administration (SAMHSA) recently released a grant funding opportunity announcement (FOA) entitled, “Linking Actions for Unmet Needs in Children’s Health Grant Program”, or “Project LAUNCH”. The purpose of this program is to promote the wellness of young Tribal children, from birth to 8 years of age, by addressing the social, emotional, cognitive, physical and behavioral aspects of their development. Read more here. SAMHSA recently released a grant FOA entitled, “Grants for Expansion and Sustainability of the Comprehensive Community Mental Health Services for Children with Serious Emotional Disturbances”, or “System of Care (SOC) Expansion and Sustainability Grants”. The purpose of this program is to improve the mental health outcomes for Tribal children and youth, birth through age 21, with serious emotional disturbance, and their families. Read more here. The University of Oklahoma American Indian Institute Annual Conference calls together the best thinking in Native American Wellness and Diabetes Prevention. Read more here. Wednesday-Thursday, May 1-2, 2019 in Washington, DC Hosted by the Kresge Foundation, Milken Institute School of Public Health at George Washington University, ecoAmerica, and over 20 other partner organizations, the American Climate Leadership Summit is “the nation’s largest and most diverse gathering of leaders dedicated to broadening and catalyzing action and advocacy for effective climate solutions.” Diversity Scholarships are available to a limited number of participants from frontline, low-income, and/or underrepresented communities to assist in attending this conference. Read more here (or apply for a scholarship here). The Children's Environmental Health Network is accepting nominations of young leaders, ages 10-21, making an impact in their communities. The award honors a young person who has demonstrated exceptional environmental health leadership – efforts to protect human health, especially of our most vulnerable populations. You can submit a nomination or view past recipients here. The Substance Abuse and Mental Health Services Administration (SAMHSA) is accepting applications for 2019 Building Communities of Recovery (BCOR) grants. The purpose of this program is to mobilize resources within and outside of the recovery community to increase the prevalence and quality of long-term recovery support from substance abuse and addiction. These grants are intended to support the development, enhancement, expansion, and delivery of recovery support services as well as promotion of and education about recovery. Read more here. The Charleston Child Trauma Conference is a national conference designed to deepen professionals’ knowledge in the area of child trauma and traumatic stress, with an emphasis on bridging research and practice. Read more here. To combat the nation’s opioid crisis, the Health Resources and Services Administration(HRSA) launched the National Health Service Corps (NHSC) Substance Use Disorder Workforce Loan Repayment Program (SUD Workforce LRP). The program supports the recruitment and retention of health professionals needed in underserved areas to expand access to SUD treatment and prevent overdose deaths. Read more here. The Health and Human Services(HHS) Office of Minority Health (OMH) is excited to announce that the Youth Health Equity Model of Practice (YHEMOP) Summer 2019 Health Equity Fellow Application is now available! Through its YHEMOP program, OMH places students enrolled in higher education studies into short-term health equity fellowships to help meet the needs of diverse organizations. Read more here. The de Beaumont Foundation and Aspen Institute have launched the Public Health Reach Across Sectors (PHRASES) Fellows program to help public health professionals hone their communication skills to improve cross-sector collaboration. Read more here. The First Nations Development Institute is now accepting proposals for its Native Youth and Culture Fund for projects that focus on youth and incorporate culture and tradition to address social issues such as drug and alcohol abuse, teen pregnancy, mental health or other social issues in Native communities. Read more here. The Pre-Graduate Scholarship Program provides financial support for American Indian and Alaska Native (federally or state-recognized) students to enroll in courses leading to a bachelor’s degree in specific pre-professional areas, such as pre-medicine, pre-dentistry, and others as needed by Indian health programs. There is no service requirement attached to the scholarship. Read more here. The Indian Health Service (IHS) Health Professions Scholarship provides financial aid covering tuition, required fees, and other educational and living expenses for qualified American Indian and Alaska Native students enrolled in a health profession degree program. Recipients of the scholarship are required to fulfill a minimum 2-year service commitment at an Indian health facility. Read more here. The National Transportation in Indian Country Planning Committee is seeking dynamic, engaging, and knowledgeable presenters for the 2019 National Transportation in Indian Country Conference (NTICC) that will be held September 16 - 19, 2019 at Big Sky Resort in Big Sky, Montana. If you have a presentation you would like to share at this year’s conference. Read more and apply here. The Seventh Generation Fund for Indigenous Peoples’ Land Defenders and Water Protectors supports Native led actions against incursions, unwanted development, and extractive industries as well as threats to sacred sites in Indigenous communities, lands and territories. Land Defenders and Water Protectors grants will be available for Indigenous Peoples’ community based organizations doing frontline advocacy and peaceful direct actions responding to the desecration of Mother Earth. Grants range from $500-$10,000. Read more here. The U.S. Department of Health and Human Services (HHS) is offering grants for Tribal community-based organizations, Tribes, and village governments for social and economic infrastructure development. This program is focused on community-driven projects designed to grow local economies, strengthen Native American families, including the preservation of Native American cultures, and decrease the high rate of current challenges caused by the lack of community-based businesses, and social and economic infrastructure in Native American communities. Read more here. The Healthy Food Financing Initiative (HFFI) offers financial assistance to help healthy food retailers overcome higher costs and initial barriers to entry in underserved areas across the country. Targeted grants are available for eligible projects or partnerships that seek to improve access to healthy food in underserved areas. Grant awards range from $25,000-$250,000. Women/minority/Tribally-owned businesses, those supporting regional food systems and locally grown food when possible, and those creating jobs for low-income residents are among the evaluation criteria. Read more here. The American Indian Science and Engineering Society (AISES) Internship Program provides students with applied work experience and an opportunity to explore career options. Placing students in 10-week summer positions with partner agencies, the program also promotes advanced study to the graduate level and assists students in developing professional networks. Read more here. The Resilient Communities Program, offered through Wells Fargo and the National Fish and Wildlife Foundation, will help communities prepare for future impacts associated with sea-level rise, sustain appropriate water quantity and quality, and enhance forest conservation. This program emphasizes supporting Tribal communities, which are recognized as particularly vulnerable, and whose livelihoods and economies rely on their self-determined management of water, land, and other natural resources and infrastructure that will be impacted increasingly by sea level rise, drought, flooding, and fires. Read more here. Public Health Improvement Training (PHIT): Submit your Abstracts now! Abstract submission is now open for the Public Health Improvement Training (PHIT), a conference produced by the National Network of Public Health Institutes (NNPHI) and the Centers for Disease Control and Prevention (CDC) in partnership with several national organizations including the National Indian Health Board (NIHB). PHIT is an excellent opportunity for Tribal, state, local, and territorial health departments to share their experience in performance improvement, system improvement, and public health accreditation. Presentations should be geared towards practical skills, increasing specific knowledge, and sharing effective resources. The National Environmental Health Association (NEHA), in conjunction with the Centers for Disease Control and Prevention (CDC), will offer mini-grants between $1,200 to $3,000 to support state, Tribal, local or territorial governmental food safety programs to learn more about the National Environmental Assessment Reporting System (NEARS) program. NEARS is a surveillance system that captures environmental assessment data from foodborne illness outbreak investigations in retail food services to improve food safety programs. Read more here. The Substance Abuse and Mental Health Services Administration (SAMHSA), Center for Substance Abuse Treatment (CSAT), is accepting applications for Targeted Capacity Expansion: Special Projects grants. The purpose of the program is to develop and implement targeted strategies for substance use disorder treatment provision to address an unmet need or underserved population. Read more here. The National Indian Health Board (NIHB) and the American Indian Cancer Foundation (AICAF) are currently offering in-person or virtual trainings with a small number of Area Indian Health Boards and/or Tribes on a recently developed colorectal cancer toolkit. This toolkit aims to provide culturally tailored and web-based resources to clinic teams within American Indian health systems. Trainings are roughly 3-hour training and geared towards Tribal clinic staff involved in cancer screening prevention efforts. Only a few places remain so please contact Breannon Babbel, [email protected], for more information. The Northwest Native American Research Center for Health (NW NARCH) is providing research support fellowships for American Indian/Alaska Native Graduate students conducting scientific research in the biomedical and social sciences. Read more here. NIHB is pleased to offer a limited number of scholarships this year for presenters on the Environmental Health and Climate Change Track. Conference admission fees will be waived and scholarship recipients will also receive up to $1200-$1500 to support travel costs. If you are interested in a scholarship, please submit your proposal here. Then, email [email protected] to request a scholarship and please include a brief explanation of why you need, or could benefit from, this scholarship. Scholarship applicants should not book travel without coordinating with NIHB, as NIHB may coordinate with scholarship recipients to make travel arrangements on their behalf. Eligibility is restricted to Tribes/Tribal programs. Federal employees are not eligible. Through this funding opportunity, the Robert Wood Johnson Foundation (RWJF) seeks to develop and amplify the evidence around a set of approaches that improve community health and well-being and advance health equity while also addressing climate change adaptation or mitigation through eligible, local approaches. Tribes, indigenous organizations, and nonprofits are among those eligible to apply. Read more here. In an effort to honor individuals, Tribes, organizations, and programs that have enriched and improved American Indian and Alaska Native public health and behavioral health, the National Indian Health Board (NIHB) invites nominations for the Native Public Health Innovation Awards (three awards honoring different types of work) and the Native Behavioral Health Award (Hope and Healing Award). All nominations should be received by 11:59 pm ET on Friday, February 15, 2019. Winners will be notified within three weeks upon close of the nominations. Read more here. The National Cancer Institute (NCI) is offering a research project grant, Multilevel Interventions in Cancer Care Delivery: Follow-up to Abnormal Screening Tests. Tribes are among those eligible to apply for this federal grant. Read more here. The Substance Abuse and Mental Health Services Administration (SAMHSA) is accepting applications for the Tribal Behavioral Health grant program (Native Connections). The purpose of this program is to prevent and reduce suicidal behavior and substance use, reduce the impact of trauma, and promote mental health among American Indian/Alaska Native youth through the age of 24 years. SAMHSA plans to issue 51 grants up to $250,000 per year for up to 5 years. SAMHSA is accepting applications for Grants to Expand Substance Abuse Treatment Capacity in Family Treatment Drug Courts (FTDC). The purpose of this program is to expand substance use disorder (SUD) treatment services in existing family treatment drug courts, which use the family treatment drug court model in order to provide alcohol and drug treatment to parents with a SUD and/or co-occurring SUD and mental disorders who have had a dependency petition filed against them or are at risk of such filing. SAMHSA plans to issue 25 grants of up to $425,000 per year for up to 5 years. SAMHSA is accepting applications for Grants to Expand Substance Abuse Treatment Capacity in Adult Treatment Drug Courts (ATDC) and Adult Tribal Healing to Wellness Courts. The purpose of this program is to expand SUD treatment services in existing adult problem solving courts, and adult Tribal Healing to Wellness courts, which use the treatment drug court model in order to provide SUD treatment (including recovery support services, screening, assessment, case management, and program coordination) to defendants/offenders. SAMHSA plans to issue 25 grants of up to $400,000 per year for up to 5 years. The Arctic Research Consortium of the United States (ARCUS) and the Inuit Circumpolar Council Alaska invite applications from and/or nominations of Arctic indigenous scholars to travel to Washington, D.C. and meet with officials at governmental agencies, non-governmental organizations, and other groups. Scholars are defined (for this opportunity) as experts within their own knowledge systems who are hunters, fishers, gatherers, those who process or store food, health aides, and others. Adults, youth, and elders are welcome. The Administration on Aging (AoA) within the Administration for Community Living (ACL), U.S. Department of Health and Human Services (HHS) forecasts the possible availability of Fiscal Year (FY) 2019 funds to make three-year grants to approximately 10 entities to develop capacity, bring to scale, and sustain evidence-based falls prevention programs that will help to reduce the number of falls, fear of falling, and/or fall-related injuries in older adults. The Center for World Indigenous Studies is seeking pitches for articles addressing topics related to indigenous foods and public health. The relationship between indigenous food and indigenous health will be explored in a new, twelve-part article series called Food as Medicine. Journalists worldwide are eligible and will be compensated for submissions meeting project requirements. The National Center for Healthy Housing (NCHH) in collaboration with the National Environmental Health Association (NEHA), the National Association of City and County Health Officials (NACCHO), and the Association of State and Territorial Health Officials (ASTHO), will offer support to local governmental agencies to implement a Health in All Policies strategy as part of their lead prevention implementation program and activities. Up to three entities will be awarded a maximum funding amount of $20,000 each, as well as technical assistance from these national partners along the way. The purpose of these grants is to advance local efforts to reduce lead exposure and its effects and build capacity to use a Health in All Policies approach for future efforts. Integrated public health and behavioral health. Building and/or enhancing cross-sector partnerships between public health and behavioral health. The Office of Native American Programs announced a $65 million funding opportunity for Tribes in order to address the creation of decent housing, suitable living environments, and creating economic opportunities, primarily for persons with low and moderate incomes. The Federal Office of Rural Health Policy is offering grants through the Rural Communities Opioid Response Program – Planning. Grants are designed to strengthen the capacity of multi-sector consortia to address prevention, treatment, and recovery from substance use disorder, including opioid use disorder in rural counties. Eligible applicants include Tribes, Tribal organizations, and public or private, non-profit or for-profit entities, including faith-based and community-based organizations. The U.S. Environmental Protection Agency is offering funding through the Environmental Justice Small Grants Program to provide support for community-driven projects designed to engage, educate, and empower communities to better understand local environmental and public health issues and develop strategies for addressing those issues, building consensus in the community, and setting community priorities. The Substance Abuse and Mental Health Services Administration (SAMHSA), Center for Mental Health Services (CMHS) is accepting applications for Statewide Consumer Network Program grants to address the needs of adults with serious mental illness by developing and/or expanding peer support services, peer leadership, and peer engagement strategies statewide. Eligibility includes Tribes and some urban Indian organizations. Read more here. The Substance Abuse and Mental Health Services Administration (SAMHSA), Center for Mental Health Services (CMHS) is accepting applications for grants. Education agencies/authorities serving children and youth residing in federally-recognized Tribes, Tribal organizations, and consortia of Tribes/Tribal organizations are eligible. The program purpose is to build or expand the capacity of State Educational Agencies (SEAs) in partnership with State Mental Health Agencies (SMHAs) overseeing school-aged youth and local education agencies (LEAS). Read more here. The U.S. Department of Health and Human Services (HHS)/the Substance Abuse and Mental Health Services Administration (SAMHSA) will offer a Tribal Behavioral Health grant. Federally-recognized Tribes, Tribal organizations, urban Indian organizations, and consortia of Tribes/Tribal organizations are eligible. Read more here. The U.S. Department of Health and Human Services (HHS)/the Substance Abuse and Mental Health Services Administration (SAMHSA) will offer this grant. State, local, and Tribal governments are eligible. Read more here. A new Funding Opportunity Announcement from the Agency for Healthcare Research and Quality (AHRQ) seeks applications for increasing the dissemination and implementation of patient-centered outcomes research findings in primary care practices to identify and manage patients’ unhealthy alcohol use. AHRQ anticipates investing up to $13.5 million over three years to support up to six awards. Grant applicants must propose a comprehensive plan to improve the identification and management of unhealthy alcohol use among adults, including screening and brief intervention and medication-assisted therapy. Applications will be accepted Dec. 4- Jan. 4, 2019. A technical assistance call will be held on Oct. 24 from 1:30 to 2:30 p.m. ET. For additional information, to register for the technical assistance call, and to submit questions, click HERE. The National Indian Health Board (NIHB) and the Centers for Disease Control and Prevention are pleased to announce funding for Strong Systems, Stronger Communities (SSSC), formerly known as the Tribal Accreditation Support Initiative (ASI). This project continues NIHB’s commitment to the strengthening of Tribal public health systems by offering support and technical assistance specifically to Tribes as they complete projects to improve their performance, meet national public health accreditation standards, and/or promote interconnection across the public health system to improve population health. Tribes will have the opportunity to perform work in performance improvement (PI) and/or system improvement (SI). Support for public health accreditation activities is offered, but seeking accreditation is not required. NIHB is offering Community Changemaker Grants – small amounts of money ($250) that can supercharge a youth-led health event. These grants are open to American Indian and Alaska Native youth ages 14-24. USDA Food and Nutrition Service is accepting applications for Farm to School Grants from eligible schools, state and local agencies, Indian Tribal organizations, agricultural producers or groups of producers, and nonprofit entities. USDA anticipates awarding approximately $7.5 million in grant funding to support efforts that improve access to local foods in schools. Planning and training grant awards range from $20,000 to $50,000, and implementation grants range from $50,000 to $100,000. Grants require a 25% match. The National Indian Health Board (NIHB), with support from the Centers for Disease Control and Prevention (CDC), is pleased to announce a second call for applications for a Tribal Health Systems Enhancement for Cancer Screening award. This funding will provide awards of up to $8,000 to nine (9) Tribal clinics/programs. Funding will be used to participate in a second round of pilot testing of a toolkit developed by NIHB. This toolkit has been developed to share implementation guidelines for the priority evidence-based interventions (EBIs) found in the Community Guide to Preventive Services (Community Guide) Strategies. This action guide is designed specifically for Tribal health systems interested in increasing high-quality, population-based breast, cervical, and colorectal cancer screenings. The funded pilot project is expected to run for a 3-month time period from approximately January to April 2019. Research support fellowships are currently available for American Indian/Alaska Native graduate students in the Biomedical and Social Sciences. These fellowships are sponsored by the Native American Research Centers for Health (NARCH), Northwest Portland Area Indian Health Board, and OHSU Prevention Research. Click here to learn more or apply! Please contact Sarah Price, [email protected] with any questions. The National Indian Health Board (NIHB), with support from the Centers for Disease Control and Prevention (CDC), is pleased to announce a call for applications for two new Climate Ready Tribes (CRT) Initiative funding opportunities. NIHB will offer a CRT Initiative Award of up to $50,000 to up to three Tribes to conduct local work related to climate health. This may include improving and maintaining partnerships, identifying best practices, and implementing evidence-based programs and services. NIHB will also offer a CRT Initiative Mini-Award for Climate and Health Communication of up to $5000 to up to three Tribes to conduct low-cost, local work including climate health outreach, educational, or training opportunities. The project period for both projects will run approximately January 1, 2019 through June 30, 2019. The National Institute on Minority Health and Health Disparities (NIMHD) is seeking candidates for research focused on the health and health disparities of American Indian/Alaska Native (AI/AN) populations. NIMHD is leading a trans-NIH (National Institutes of Health) initiative to support two funding opportunities for collaborative research between Tribal Epidemiology Centers (TECs) and extramural investigators: PAR-17-484 and PAR-17-483. The program invites observational studies or intervention evaluations that use data collected from TECs, with an emphasis on areas where there are significant gaps in data and knowledge. "The Good Road of Life (GRL)" curriculum is a culture and resilience based program endorsed by Tribal and federal agencies. The topics include domestic violence prevention, men’s and women’s wellness, suicide prevention, substance abuse prevention, and strengthening facilitation and action planning skills. CEUs are available for some mental health professionals. The National Indian Health Board (NIHB) and the American Indian Cancer Foundation (AICAF) are currently offering in-person trainings with a small number of Area Indian Health Boards and/or Tribes on a recently developed colorectal cancer toolkit. This toolkit was developed based on the evidence-based interventions and lessons learned during AICAF’s Clinical Cancer Screening Network (CCSN) pilot program within the Northern Plains region and aims to provide culturally tailored and web-based resources to clinic teams within American Indian health systems. These roughly 3-hour in-person trainings are geared towards staff involved in cancer screening prevention efforts and can be catered to any number of attendees (from just a few to more). The visits need to be scheduled by December 14th, 2018, but can take place in the beginning of 2019, and are offered on a first come, first serve basis (subject to timeline and funding). Please contact Breannon Babbel, [email protected], for more information. Forecast: Workforce Development and Youth Suicide Prevention Grants Coming Soon! The Department of Health and Human Services has released forecasts for two upcoming grants: (1) Youth Suicide Prevention and Mental Health Initiative, and (2) American Indian Alaska Native Workforce Development Initiative. These grants are announced with applications expected to open in December. Click here to view the forecast for the workforce grant, and click here to view the forecast for the youth suicide prevention grant. CDC has released a funding opportunity for the surveillance of RSV and other respiratory infections in American Indian and Alaska Natives. Tribal governments, Tribal organizations, and Indian Housing Authorities are among those eligible to apply for the award. 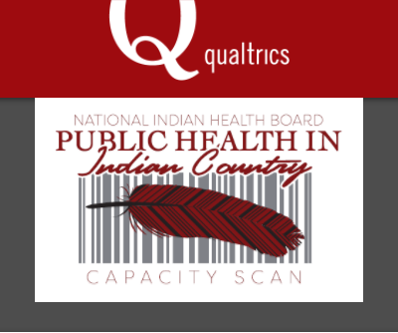 NIHB, with support from the Centers for Disease Control and Prevention (CDC) is pleased to announce the Public Health in Indian County Capacity Scan (PHICCS). The purpose of this scan is to increase the knowledge of Tribal and federal health leaders and advocates through the creation and dissemination of a national-level, comprehensive profile of the public health system and infrastructure in Indian Country. The profile will be informed by a national assessment of Tribal public health systems, functions, workforce, issues, gaps, strengths, and leadership. To learn more about this scan and to receive instructions on completing the web-based tool, please join us for a pre-launch webinar on Wednesday, October 31, 2018, at 1:00 pm ET. Register for the webinar here. The Office of the Surgeon General, with support from the Centers for Disease Control and Prevention (CDC), plans to develop and produce a report by the US Surgeon General on the link between investments in community health and community and other measures of well-being and economic prosperity. The Surgeon General wants to build upon the community health work that has already been done and would like to hear from you about the initiatives you are doing to address community health and prosperity. Visit the Federal Register Notice here to share your ideas, examples, and data. Submit your abstract today for the 14th Circle of Harmony HIV/AIDS Wellness Conference, Bridging Generations: Thinking Ahead While Always Being Informed by the Past. Learn more about submitting abstracts here. The Department of Health and Human Services (HHS)/Centers for Disease Control and Prevention (CDC) is offering this funding opportunity for emergency response. Federally-recognized Tribes are eligible. Click here to learn more. The United States Environmental Protection Agency (EPA) announces the release of the 16th Annual P3 Awards: A National Student Design Competition Focusing on People, Prosperity and the Planet (P3) Phase I Request for Applications (RFA). This RFA is seeking applications in the research areas of Air Quality, Safe and Sustainable Water Resources, Sustainable and Healthy Communities, and Chemical Safety. Click here to learn more or apply. The Journal of Agriculture, Food Systems, and Community Development and the Journal of American Indian Education jointly seek manuscripts and commentaries on practice-relevant and pedagogical research related to Indigenous food sovereignty issues, especially Tribal and government policy, grassroots community organizing, culturally defined foods and practices, and the transfer of Indigenous knowledge. See the full announcement and a PDF for sharing and posting here. Click here to read more. Click here to learn more about the courses and click here to learn about scholarships. Annie's Grants for Gardens project is offering grants to develop edible garden projects that help connect children to healthy and nutritious foods. Some public, private, and charter schools are eligible. Click here to learn more or apply. The Whole Kids Foundation is offering grants of $2000 to help support new or existing garden projects at public and private K-12 schools and/or nonprofit organizations. Learn more about the opportunity or apply here. Register for either webinar here. The Healthy Tomorrows Partnership for Children Program (HTPCP) is currently accepting applications to fund up to eight grants at up to $50,000 per year throughout a five year period. The project period will run from March 1, 2019 through February 29, 2024. Tribes, domestic community-based organizations, and faith-based organizations are eligible to apply. The purpose of this program is to support community-based services aimed at improving the health status of children, adolescents, and families in rural and other underserved communities by increasing their access to health services. This program supports the Health Resources and Services' (HRSA's) goals to improve access to quality health care and services, build healthy communities, and improve health equity. Community-based programs and evidence-based models of care that build on existing community resources will be implemented and evaluated to demonstrate program impact. This program supports collaboration between local pediatric providers and community leaders in an effort to provide quality health care and preventive health services to children, adolescents, and families in rural and other underserved communities. HTPCP funding supports projects that provide clinical or public health services, and does not support research projects. HTPCP applications MUST represent either a new initiative (i.e., project that was not previously in existence) within the community or an innovative new component that builds upon an existing community-based program or initiative. The Indigenous Environmental Network (IEN)/Western Mining Action Network (WMAN) Mining Mini-Grants Program offers financial grant assistance to communities threatened or adversely affected by mining in the U.S. and Canada. This year, the project is expected to fund approximately 70 grantees at $3,000 each and 10 grantees at $5,000 each. This program encourages applications that strive to protect the environment, ecosystems, cultural resources, and community health from mining impacts. Priority is given to community-based grassroots groups and Tribal/First Nations directly affected by mining, and efforts are made to award at least half of the program funding to Indigenous-led organizations. Submit to Fourth World Journal on "Indigenous Peoples, Medicinal Plants, and Wild Foods"
The Fourth World Journal is pleased to announce that it will publish a special themed, peer reviewed issue on "Indigenous Peoples, Medicinal Plants and Wild Foods." There is an increasing desire in the global health community to learn more beneficial approaches of nutrition for growing populations in all bioregions. The focus in this Special Issue is the use of low-resource strategies that are culturally and ecologically appropriate to the locality. Plants and other wildlife foods are known the world over to have medicinal value. The nutrient and pharmacological density of these resources is often overlooked, undocumented, or exploited for purely commercial purposes. Traditional medicine systems are the "mother" of all medicine. More that 80% of the world's population uses a form of traditional medicine to treat primary health. The intimate connection between life on earth and the living universe has formed the foundation for virtually all systems of healing for milennia. Forces of "modernization" and "technological development" have an adverse effect on wild foods, medicinal plantas and indigenous knowledge systems. The purpose of this themed issue, therefore, is to bring recognition to the myriad of potentially useful foods and medicines in the wild that exist, and to stimulate a dialogue on how to ensure their cultural uses and benefits. The call for applications for the 2019 American Public Health Association (APHA) Public Health Fellowship in Government is underway. The fellowship provides a unique learning opportunity and demonstrates the value and need for basing policy on sound science. Candidates must have strong public health credentials and be able to spend one year in Washington, D.C. The fellow will have the option of working in the House or Senate on legislative and policy issues such as creating healthy communities, improving health equity, addressing environmental health concerns, population health or the social determinants of health. Training for the fellowship will begin in January 2019 so the applicant must be able to move to the Washington, D.C., area in January. Throughout the year, the fellow will gain a practical knowledge of government and how the public policy process works. not be a federal employee. The completed application, Curriculum Vitae (CV) and three letters of recommendation are due to APHA on Tuesday, Sept. 4, 2018 by 6 p.m. EST. For more information, see the program flyer or explore the website here. You may also contact APHA directly at [email protected] or 202-777-2510. The Federal Transit Administration (FTA) announces the availability of approximately $5 million in funding provided by the Public Transportation on Indian Reservations Program (Tribal Transit Program (TTP)), as authorized by 49 U.S.C. 5311(c)(1)(A), as amended by the Fixing America's Surface Transportation Act (FAST), Public Law 114-94 (December 4, 2015). This is a national solicitation for project proposals and includes the selection criteria and program eligibility information for Fiscal Year 2018 projects. The primary purpose of these competitively selected grants is to support planning, capital, and, in limited circumstances, operating assistance for Tribal public transit services. Read the Notice of Funding and apply here. The Department of Housing and Urban Development (HUD) has announced their Lead Based Paint Hazard Reduction grant program with the purpose of assisting units of local government, including the Tribes, in undertaking comprehensive programs to identify and control lead-based paint hazards in eligible privately-owned rental or owner-occupied housing populations. Funding of up to $212,000,000 is available through this Notice of Funding Availability and HUD expects to make approximately 50 awards. The minimum award for any applicant to request under this opportunity is $1,000,000. Read the full grant opportunity and apply here. First Nations is now accepting letters of intent under its Native Agriculture and Food Systems Initiative (NAFSI). First Nations expects to award 17 to 20 grants averaging $30,000 to $40,000 each to organizations in Native communities with the goal of growing and/or expanding direct services to and/or programs that serve or directly collaborate with Native American farmers and ranchers. In sum, the goal of these grants is to provide much-needed grant assistance to grow or expand programmatic and other services to organizations in Native communities that serve Native farmers and ranchers. On May 18, 2018, Rear Admiral (RADM) Michael Weahkee, the acting director of the Indian Health Service (IHS), released a Dear Tribal Leader and Urban Indian Organization Leader letter, followed by a Behavioral Health Initiative Funding brief on June 7, 2018. This letter was to initiate a Tribal Consultation and Urban Confer on the funding mechanism to distribute behavioral health initiatives that are currently being distributed through grants. Virtual Tribal consultation occurred on Thursday, June 7 from 3:00 p.m. - 5:00 p.m. EST and Wednesday, June 20 from 2:00 p.m. - 4:00 p.m. EST. Virtual Urban Confer took place Thursday, June 14 from 4:00 p.m. - 5:00 p.m. ET with an in-Person Confer session at the 2018 National Council for Urban Indian Health Annual Leadership Conference on Wednesday, June 27 from 9:45 a.m. - 10:45 a.m. EST. Written comments will be accepted through the duration of the Tribal Consultation and Urban Confer period. The deadline to provide comments is extended to Friday, August 17, 2018. If you have questions or need additional information, please contact Ms. Anna Johnson, Management Analyst, Division of Behavioral Health, IHS, by telephone at (301) 443-2038 or by email at [email protected]. The United States Department of Agriculture (USDA) is offering funding to support "the repair or rehabilitation of housing owned or occupied by low and very low income rural citizens. USDA will award a total of $10 million in Housing Preservation Grant Program funding for the repair and rehabilitation of rural housing units." Many Tribal communities experience housing disparities. Federally recognized Tribes, nonprofit organizations, and most state and local government entities are eligible to apply. Individual homeowners are not eligible. Applicants will provide grants or low-interest loans to repair or rehabilitate housing for low- and very-low-income homeowners. Rental property owners may also receive assistance if they agree to make units available to low- and very-low-income families. The Indian Health Service (IHS) is accepting competitive grant applications for the Tribal Management Grant (TMG) Program. This program is a competitive grant program that is capacity building and developmental in nature and has been available for federally recognized Indian Tribes and Tribal organizations since 1975. The TMG Program was established to assist Tribes and Tribal organizations to prepare for assuming all or part of existing IHS programs, functions, services, and activities (PFSAs) and further develop and improve Tribal health management capabilities. The TMG program provides competitive grants to Tribes and Tribal organizations to establish goals and performance measures for current health programs; assess current management capacity to determine if new components are appropriate; analyze programs to determine if a Tribe or Tribal organization's management is practicable; and develop infrastructure systems to manage or organize PFSAs. The purpose of this IHS grant announcement is to announce the availability of the TMG program to enhance and develop health management infrastructure and assist Tribes and Tribal organizations in assuming all or part of existing IHS PFSAs through a Title I contract and assist Title I contractors to Title V compactors to further develop and improve management capability. Approximately 16-18 awards of between $50,000-$100,000 each are expected to be awarded. The strategic goals of the IHS are: (1) To ensure that comprehensive, culturally acceptable personal and public health services are available and accessible to American Indian/Alaska Native (AI/AN) people; (2) To promote excellence and quality through innovation of the Indian health system into an optimally performing organization; and (3) To strengthen IHS program management and operations. Click HERE to learn more or submit a comment. The Office for Victims of Crime (OVC) is seeking applications for the FY 2018 Tribal Victim Services Set-Aside Program solicitation. The funding for this program comes from the first Tribal set-aside for crime victims that the U.S. Department of Justice has been directed to administer. Under the solicitation, OVC will award eligible Tribes, Tribal consortia, and Tribal designee's grants to support a wide-range of services for victims of crime. OVC anticipates awarding up to $110 million through the Tribal Victims Services Set-Aside Program. Phase 1 applications are due August 6, 2018. If you have any questions, please contact Mr. Ken Coriz, Program Analyst, ODSCT, IHS, at 301-443-1104 or by email at [email protected]. The Centers for Disease Control and Prevention (CDC) has released guidance on funds newly available to Tribes to address the opioid overdose epidemic. These new opioid overdose prevention funds augment existing CDC Tribal programs. The US Department of Health and Human Services is soliciting public comment on the National Vaccine Advisory Committee's (NVAC) draft report and draft recommendations on strengthening the effectiveness of national, state, and local efforts to improve Human Papillomavirus (HPV) vaccination coverage in the United States. Comments must be submitted by 5:00 pm ET on June 15. Per the CDC, HPV is the most common sexually transmitted infection (STI). HPV is a different virus than HIV and HSV (herpes). Seventy-nine (79) million Americans, most in their late teens and early 20s, are infected with HPV. There are many different types of HPV. Some types can cause health problems including genital warts and cancers, but there are vaccines that can stop these health problems from happening. The National Indian Health Board (NIHB) invites MSPI/DVPI grantees, Tribal behavioral health experts, public health professionals, advocates, researchers, community-based providers, and others to submit proposals to highlight the accomplishments of their programs at the American Indian and Alaska Native National Behavioral Health Conference, in Washington, DC from July 25-27, 2018. The Poster Session is a great way for success stories to be heard by a large audience of Tribal leaders, Tribal behavioral health professionals, health experts, public health professionals, federal employees, advocates, researchers and community-based providers as well as share program ideas with others. For instructions, and to submit your proposal HERE. Download a copy of the call for proposals HERE. Learn more about the AI/AN National Behavioral Health Conference HERE. Applications are currently being accepted for the Director, Office of Clinical and Preventive Services of the Indian Health Service (IHS), a component of HHS. This position is located in Rockville, MD and serves as a member of the senior management team and has managerial and oversight responsibilities for the effective use of office staff and resources in meeting organization goals and objectives. They serve as the principal advisor to the Chief Medical Officer (CMO), IHS and as the primary source of national advocacy, development, budget-development and allocation for clinical, preventive, and public health programs for the IHS. The purpose of the HHP program is to assist American Indian and Alaska Native Tribal governments to identify and remediate housing related health and safety hazards. This program will assist American Indian and Alaska Native Tribal governments to develop comprehensive programs to identify and remediate housing issues that contribute to health and safety issues in urban and Tribal communities. The Healthy Homes Production (HHP) Program is part of HUD's overall Healthy Homes Initiative launched in 1999. The program takes a comprehensive approach to addressing multiple childhood diseases and injuries in the home by focusing on housing-related hazards in a coordinated fashion, rather than addressing a single hazard at a time. The program builds upon HUD's experience with Lead Hazard Control programs to expand the Department's efforts to address a variety of high-priority environmental health and safety hazards. The meetings are free to attend, but travel scholarships are available for interested Tribal attendees! Contact [email protected] to request a travel scholarship. For instructions, and to submit your proposal HERE . Learn more about the AI/AN National Behavioral Health Conference HERE . In an effort to honor individuals, Tribes, organizations, and programs that have enriched and improved American Indian and Alaska Native behavioral health, the National Indian Health Board (NIHB) invites nominations for the Native Behavioral Health Award. NIHB created this award to recognize excellence, achievement, and innovations that are above and beyond the call of service. NIHB recognizes that behavioral health is important to Native health and wellness, and that Tribes have led the way in creating and implementing behavioral health programming and services that align not only with contemporary needs, but with cultural beliefs as well. This award will highlight the work and vision of an individual, organization, Tribe or program that has worked to improve behavioral health status, implement new programming, address long standing health disparities, and/or increase the visibility of behavioral health concerns. NIHB will present the award at the Annual National Tribal Behavioral Health Conference in Washington, DC during a plenary session. All nominations should be received by 11:59 p.m. ET on Friday, May 25, 2018. The winner will be notified within three weeks upon close of the nominations. Find more information about the grant HERE. The Substance Abuse and Mental Health Services Administration (SAMHSA) recently released a funding opportunity announcement (FOA) entitled, "Assertive Community Treatment Grants." The purpose of this grant is to "establish or expand and maintain ACT [Assertive Community Treatment] programs for individuals with a serious mental illness (SMI). SAMHSA expects this program will improve behavioral health outcomes for individuals by reducing rates of hospitalization, mortality, substance use, homelessness, and involvement with the criminal justice system. Tribes and Tribal organizations, mental health systems, health care facilities, and consortia of Tribes are among those eligible to apply. This grant is expected to award up to seven recipients with up to $678,000 per year for up to five years. Tribal behavioral health experts, researchers, community-based service providers, and Tribal professionals are invited to submit abstracts for the 2018 American Indian and Alaska Native National Behavioral Health Conference, taking place July 25-27, 2018 at the Omni Shoreham Hotel in Washington, DC. NIHB is accepting abstracts for 90-minute workshops and 60-minute roundtables. NIHB encourages presentations highlighting evidence-based, best, or promising practices developed in and for Tribal communities. NIHB is particularly interested in presentations that provide tools in addition to information and research, so that gained knowledge can be made actionable. NIHB is also looking for presentations that address Tribal behavioral health issues from multiple perspectives, paying close attention to the social determinants of health (i.e. socioeconomic status, exposure to trauma, access to education, the physical environment, etc.) which directly influence behavioral health outcomes. This year's conference focuses on actions and tools that promote connections with culture and community and knowing your purpose through the implementation of Tribal best practices. Please consider topics and content that emphasize this theme. Click HERE for additional information or to submit your proposal today! Federally-recognized Tribal governments are eligible to apply for an expected 100 awards for implementation of traffic safety programs and projects designed to reduce the number of traffic crashes, deaths, injuries and property damage within these populations. In mostly rural Tribal communities, motor vehicle crashes are a leading cause of unintentional injury and death. The Center for American Indian Health Institute provides financial support for American Indian and Alaska Native scholars, health leaders, and health professionals and paraprofessionals serving Tribal communities, who are interested in attending the Johns Hopkins Center for American Indian Health's Summer and Winter Institute courses at the Johns Hopkins School of Public Health. The Department of Health and Human Services is offering four funding opportunities of up to $1,000,000 to improve access to treatment and support services for youth and young adults, age 16-25, who have a serious emotional disturbance (SED) or serious mental illness (SMI), hereafter referred to as serious mental disorders. The overall goal of Healthy Transitions will be to provide developmentally appropriate, culturally and linguistically competent services and supports to address serious mental disorders among youth 16 - 25 years of age by increasing awareness, screening and detection, outreach and engagement, referrals to treatment, coordination of care, and evidence-informed treatment. Healthy Transitions will accomplish program goals by: creating, implementing, and expanding services and supports that are developmentally appropriate, culturally competent, and youth and young adult-driven, involve family and community members (including business leaders and faith-based organizations), and provide for continuity of care and support between child- and adult-serving systems; and improving cross-system collaboration, service capacity, and expertise related to the population(s) of focus through Infrastructure and organizational change at the state/Tribal level. Tribal agencies overseeing delivery of relevant mental health services, federally recognized Tribes, Tribal organizations, and consortia of Tribes and Tribal organizations are among those eligible to apply. The Bureau of Justice Assistance is offering a funding opportunity for federally-recognized Native American Tribal governments or certain nonprofits. This funding is intended to support community- and faith-based organizations in developing and implementing comprehensive and collaborative programs that support people who are reentering communities from incarceration who are at medium- to high-risk of reoffending, reducing recidivism and improving public safety. The Aetna Foundation is offering a funding opportunity through the Cultivating Healthy Communities (CHC) grant program. This program is "geared specifically towards nonprofit organizations that work with underserved, low-income, and minority populations in the contiguous United States. CHC seeks to catalyze measurable improvements in community health outcomes. Our funding directly supports efforts to make underserved communities healthier places to live work, learn, play, and pray and [invites] submissions for projects that address the social determinants of health and participants' physical, mental, and social well-being [by addressing specified domains]. Applicants can request between $50,000-$100,000 for the grant period of 18-24 months. Federally recognized Tribes are eligible if their annual operating budgets are $250,000 or higher and the funding request does not exceed 20% of the overall operating budget. Tribal behavioral health experts, researchers, community-based service providers, and Tribal professionals are invited to submit abstracts for the 2018 National Tribal Behavioral Health Conference, taking place July 25-27, 2018 at the Omni Shoreham Hotel in Washington, DC. NIHB is accepting abstracts for 90-minute workshops and 60-minute roundtables. CDC's National Center for Injury Prevention and Control recently released a notice of funding opportunity, RFA-CE-18-006: Research Grants for the Primary or Secondary Prevention of Opioid Overdose (R01). The funding will support research that expands and advances understanding about what works to prevent opioid overdose. Specifically, the research will either develop and pilot, or rigorously evaluate, novel primary or secondary preventive interventions that address fatal and nonfatal overdose from prescription opioids, illicit opioids, or both. This research is intended to improve health departments' ability to implement and improve interventions focused on preventing opioid-related deaths. State, Tribal, local, and territorial governments, including health departments, that meet the requirements are eligible. This month, the US Department of Health and Human Services, Health Resources and Services Administration, Office of Health Equity published their 2017 Health Equity Report. This report "presents analyses of various health equity trends affecting the nation's diverse, vulnerable, and socially disadvantaged populations. Trends in health disparities and improvements in health equity are presented for a number of program areas, including maternal and child health, primary health care access and quality, HIV/AIDS, mental and behavioral health, chronic disease prevention and health promotion, health workforce, and rural-urban and geographic disparities. Also addressed are patterns of disparities in three priority areas for the Department of Health and Human Services: mental health, opioid use, and childhood obesity. Health equity analyses are conducted using a variety of national and HRSA program databases, often stratified by important socioeconomic and demographic characteristics such as gender, race/ethnicity, family structure, education, income, employment status, rural-urban residence, and geographic area/location." The National Indian Health Board with support from the Centers for Disease Control and Prevention, is pleased to announce a call for applications for a Tribal Health Systems Enhancement for Cancer Screeningaward. This funding will provide awards of up to $5,000 to three (3) Tribal clinics. Funding will be used to pilot test a toolkit developed by NIHB. This toolkit has been developed to share implementation guidelines for the priority evidence-based interventions (EBIs) found in the Community Guide to Preventive Services (Community Guide) Strategies. This action guide is designed specifically for Tribal health systems interested in increasing high-quality, population-based breast, cervical, and colorectal cancer screenings. The funded pilot project will focus on breast and cervical cancer screenings and is expected to run from May 1st to July 31st, 2018. NIHB must be receive a complete, electronic copy of the application by 11:59 PM Eastern Time on Friday, March 30th. Please submit a single PDF version of the application to [email protected]. The National Tribal Water Council (NTWC) has launched a new website. They state that, as the website grows, the following will be included: NTWC's policy analysis on water related polices that impact Tribes, important water quality resources for Tribes, and current water quality news. The new resource, called the Supplementation Process and Documentation Guidance For Tribal Public Health Department Accreditation is a result of the work between the Tribal Public Health Accreditation Advisory Board (TPHAAB) and the Public Health Accreditation Board (PHAB). The intent of this collaboration is to increase accessibility to public health accreditation opportunities by Tribal public health entities. TPHAAB is composed of technical and public health subject matter experts from across Indian Country that are informed or are actively working on Tribal public health accreditation efforts. The group has been facilitated by the National Indian Health Board (NIHB) since 2008. PHAB believes that, if Tribal health departments will use this supplement as a companion document to Version 1.5 of the Standards and Measures, they will find very useful Tribal-centric examples and suggestions for ensuring conformity with the standards and measures. For more information on public health accreditation, visit the Public Health Accreditation Board's website and the NIHB Tribal Accreditation Support Initiative webpage. The Region 6 South Central Public Health Training Center announces two new courses have been added to the Tulane Learning Management System. The new courses are Data into Action for Tribes: Introduction to Epidemiology and Data into Action for Tribes: Publicly-Available Data Sources. Both courses are available on the Tulane LMS and TRAIN. The Data into Action for Tribes curriculum is designed to provide general guidance and understanding to increase the knowledge among Tribal health departments of how to access available data from federal, state, and local resources for program planning, surveillance, and data use. The courses included in this curriculum will cover several topics related to data, including an overview of epidemiology, sources of publicly-available data, conducting assessments and writing reports, the use of Geographic Information Systems, and behavioral health. Each course will take 1 hour. Sexual assault is a serious issue for American Indian/Alaska Native (AI/AN) women, who have higher rates of sexual violence than other groups in the United States. The Department of Defense's (DoD) Safe Helpline offers on online course with "concrete tools that can help friends, family members, and colleagues of survivors of sexual assault support a survivor's recovery. This program identifies both helping behaviors that support survivors of sexual assault and harmful behaviors that should be avoided. The program also includes concrete steps to help you become a stronger supporter for the people in your life affected by sexual violence." Although the course contains some details and resources specific to people in the DoD community, the majority of the information is applicable to a wide variety of populations and focuses on individual relationships. It is already well known that American Indian/Alaska Natives (AI/AI) are the racial/ethnic group with the highest suicide rates in the United States. This report is an analysis of National Violent Death Reporting System data from 18 states, and results showed that AI/AN people who died by suicide were generally younger and more likely to live in nonmetropolitan areas compared to non-Hispanic whites who also died by suicide. Suicide and nonsuicide deaths of friends and family, as well as alcohol use preceding death, were also associated with AI/AN deaths more than non-Hispanic white deaths. This study shows the high rates of suicide in AI/AN populations, the differences in suicide circumstances, and the health disparities this population faces. This demonstrates the need for focused, yet comprehensive, suicide prevention and intervention efforts that incorporate culturally relevant, evidence-based strategies at the individual, interpersonal, and community levels. The Centers for Disease Control and Prevention (CDC) offers a technical package of policies, programs, and practices to prevent suicide. This package can help communities focus on strategies that have the best available evidence to prevent suicide. Innovative prevention strategies, such as school-based interventions, can improve access to life skills development programs for youth at-risk in non-metropolitan and rural areas. The U.S. Preventive Services Task Force seeks comments on a draft recommendation statement and draft evidence review on screening for syphilis infection in pregnant women. The Task Force found strong evidence of benefit in screening all pregnant women for syphilis. The draft recommendation statement and draft evidence review are available for review and public comment from February 6, 2018 to March 5, 2018. The National Indian Health Board (NIHB) invites Special Diabetes Program for Indians (SDPI) grantees to submit proposals to highlight the accomplishments of their programs at the Annual NIHB National Tribal Public Health Summit, in Prior Lake, MN from May 22-24, 2018. The Annual SDPI Poster Session is a great way for success stories to be heard by a large audience of Tribal leaders and Tribal health professionals, as well as share program ideas with other grantees. The U.S. Department of Justice's National Indian Country Training Initiative (NICTI), together with the Substance Abuse and Mental Health Services Administration (SAMHSA) and the Bureau of Justice Assistance (BJA), is pleased to announce the Tribal Action Plan Development Workshop: A Tribal Law and Order Act Training Initiative. Travel and lodging accommodations will be paid for by the Department of Justice's Office of Legal Education. There is no tuition fee. The Tribal Action Plan (TAP) Training Initiative was established in direct response to the Tribal Law and Order Act of 2010. TAPs support the principle of tribal self-determination and provide tribes the opportunity to take a proactive role in the fight against alcohol and substance misuse in their communities (25 U.S.C. § 2412). This workshop is designed to provide tribes with the tools and guidance to assist in developing a TAP. The TAP Workshop will be led by experienced faculty and will include sessions focused on: 1) community readiness; 2) resource identification; 3) needs assessment; and 4) strategic plan development. Tribes who are chosen to participate are asked to send a core team of five representatives with responsibility for creating the tribe's TAP. Suggested disciplines for the Tribal Coordinating Committee include the following: leadership, behavioral, public or community health; the criminal justice system; and education. Tribes who have participated in a Gathering of Native Americans (GONA) training possess important preparation for the TAP Workshop. Core Tribal TAP Team members will be required to participate in pre and post workshop technical assistance, attend the entire workshop, and sign a letter of commitment to work with Federal TAP points of contacts and consultants to complete a tribal-specific TAP. Tribes selected to attend the TAP Workshop must adopt a resolution (or legally-equivalent action) to develop and implement a tribal action plan. To Nominate a tribe, e-mail Delores McCarter at [email protected]. Projects should use the FY 2018 SNAP Education Plan Guidance as the basis for educational activities. This program's purpose is to provide resources for American Indian and Alaska Native (AI/AN) Tribal nations and regional AI/AN Tribally designated organizations to optimize the quality and performance of Tribal public health system, including infrastructure, workforce, data and information systems, programs and services, resources and communication, and partnerships. Work in these areas will increase the capacity of Indian Country to identify, respond to, and mitigate public health threats and decrease the burden of disease among AI/ANs. Letters of intent are requested, but not required, by Friday, March 30, 2018. Clinical Scholars is a leadership development opportunity for practitioners from diverse fields of health care who seek to tackle complex health problems in their communities and build a culture of health nationwide. The programs seeks audiologists, clinical counselors, dentists, dieticians, nurses, occupational therapist, pharmacists, physical therapists, physicians, physician assistants, psychologists, social workers, speech therapists, veterinarians, and others working in community, clinical or academic settings to build stronger, healthier, more equitable communities through work in their chosen profession. The program includes intensive learning, mentoring and networking that will develop fellows into leaders of transformational change. Working in collaboration throughout the three-year program, scholars will take skills learned and apply them to their jobs and through a project in the community that directly addresses the root cause of inequality in health. All nominations within the following categories are due by March 16, 2018. Nominations are open to anyone. There is no limit to the number of nominations an individual can submit, and self-nominations are welcome. Personally demonstrated that recovery is real and possible through treatment and recovery supports. Led efforts to reduce the negative public attitudes and misperceptions associated with behavioral health. Made a positive impact on communities, workplaces, or schools. Promoted meaningful family involvement as an essential part of recovery. *Only individuals who live and work in the United States are eligible for recognition. Eligible productions should feature dignified, respectful, and accurate portrayals of people with mental illnesses and/or substance use disorders. They also must have aired in a public setting after April 15, 2017. The 2018 Voice Awards event will take place on August 8, 2018, at Royce Hall at the University of California, Los Angeles. Visit the Voice Awards website for more information about the awards program, event updates, and instructions for submitting nominations. Does your work involve activities in the areas of quality improvement, performance management, workforce development, accreditation, or community health assessment and improvement? Are you actively engaged in supporting your organization's performance improvement (PI) efforts? Your help is needed by the Public Health Foundation to ensure a set of competencies for PI professionals best meets the needs of the public health workforce! Feedback is currently being accepted on the draft Competencies for Performance Improvement Professionals in Public Health (PI Competencies) and will be used to refine this competency set for release later this year. Visit the Public Health Foundation's website to learn more about the variety of ways feedback can be submitted or share your thoughts directly through this online feedback form. Feedback is welcome through March 31, 2018. Questions about the draft PI Competencies or opportunities for sharing feedback can be sent to Kathleen Amos at [email protected]. The Substance Abuse and Mental Health Services Administration has recently released a grant funding opportunity announcement (FOA). The FOA is titled "Enhancement and Expansion of Treatment and Recovery Services for Adolescents, Transitional Aged Youth, and their Families" it also known as the Youth and Family TREE. The purpose of this program is to enhance and expand comprehensive treatment, early intervention, and recovery support services for adolescents (ages 12-18), transitional aged youth (ages 16-25), and their families/primary caregivers with substance use disorders (SUD) and/or co-occurring substance use and mental disorders. The recipient will be expected to provide a coordinated multi-system family centered approach that will enhance and expand comprehensive evidence-based treatment, including early intervention, and recovery support services to the population of focus. The eligible applicants for this FOA include Federally recognized American Indian/Alaska Native (AI/AN) Tribes, Tribal organizations, Urban Indian Organizations, and consortia of Tribes or Tribal organizations. Please see the announcement for the full list of eligible applicants. SAMHSA seeks to further expand access and the geographical distribution, as well as reduce duplication, of its adolescent programs. Therefore, grant recipients funded under TI-16-006 FY 2016 Cooperative Agreements for Adolescent and Transitional Aged Youth Treatment Implementation and TI-17-002 FY 2017 Cooperative Agreements for Adolescent and Transitional Aged Youth Treatment Implementation are not eligible to apply for this funding opportunity. The Centers for Disease Control and Prevention has several public health funding opportunities with Tribal eligibility open for applications and upcoming in the near future. Download the list with links HERE. With funds from the National Institutes of Health, the University of Utah is offering a 10-week, summer internship program for junior and senior undergraduate students interested in health and biomedical sciences. The program is titled Native American Research Internship (NARI) and is considered employment, paying up to $5500 for completion of all program activities. Each student will participate in approximately 40 hours/week of internship activities - approximately 30 of which are for research and approximately 10 hours/week for academic/professional development. The opportunity website states, "Students will work closely with research mentors as well as Native American faculty and staff mentors, develop meaningful relationships within the Health Science and Native American research communities, attend a Native American Health conference, and have opportunities to shadow physicians at their clinical practice. Students will also gain insightful knowledge in the areas of: graduate/medical school preparation, career development, additional academic opportunities, community engagement, professionalism, creating scientific posters, and presenting research material. Additionally, students who successfully complete a summer internship have the option to apply to participate again the next summer." The U.S. Department of Housing and Urban Development (HUD) has announced the annual HUD Secretary's Award for Healthy Homes. HUD recognizes excellence in making indoor environments healthier through healthy homes research, education, and program delivery, especially in low-to-moderate income communities. The Award provides a national platform to showcase results from a range of housing and indoor environmental health programs. The Award highlights some of the nation's most significant work on the relationship between living environments and resident health, and lays the foundation for future healthy homes work. Eligible applicants include Tribal governments, Tribal associations, and Tribal Designated Housing Entities. The Collaborative Research Center for American Indian Health (CRCAIH) and the Center for Health Outcomes and Population Research (CHOPR) invite you join us for the 2018 Population Health Research Summit being held April 16-18, 2018, at the Sanford Center in Sioux Falls, SD. This year the summit will be hosting the Poster Session over the lunch period on April 17, 2018. The poster session is a wonderful opportunity for networking and sharing information on your great projects. If you are interested in presenting at this event, please complete the Poster Submission Form. The Office for State, Tribal, Local and Territorial Support (OSTLTS) at the Centers for Disease Control and Prevention (CDC) has announced a new funding opportunity: Technical Assistance for Response to Public Health or Healthcare Crises. This funding opportunity is "a novel approach to emergency response that will allow CDC to expedite funding to qualified organizations so they can provide expert technical assistance and other support to entities engaged in a public health or healthcare crisis. The purposes of this [notice of funding opportunity] are 1) to establish a pool of organizations capable of rapidly providing essential expertise to various parties involved in an emergency response and 2) fund select awardees to provide that support, when required, based on CDC's determination of need." Applicants will be selected and will remain "approved but unfunded until a crisis occurs, and then CDC will make funding available to organizations as needed when a public health emergency response is necessary. American Indian/Alaska Native (AI/AN) Tribal governments are NOT eligible to apply, but organizations are. Tribal governments can apply for the related opportunity, also found in this email, entitled "Cooperative Agreement for Emergency Response: Public Health Crisis Response." The Centers for Disease Control and Prevention (CDC) has announced a new funding opportunity: Cooperative Agreement for Emergency Response: Public Health Crisis Response. "The purpose of this notice of funding opportunity (NOFO) is to announce a program to strengthen the nation's public health infrastructure, ensure a competent, current and connected public health system, and improve delivery of essential services through capacity building assistance (CBA). CBA is defined as activities that strengthen and maintain the infrastructure and resources necessary to sustain or improve system, organizational, community or individual processes and competencies. CBA is delivered through technical assistance, training, information sharing, technology transfer, materials development, or funding that enables organizations to serve customers better and operate in a comprehensive, responsive, and effective manner. The goal is to fund organizations that have the capability, expertise, resources, reach, and history of providing capacity building relevant to implementing this program's key strategies, activities, and outcomes. The program strategies include strengthening the capacities of health systems infrastructure; leadership and workforce; data and information systems; communication and information technology; partnerships; laws and policies; and programs and services. Capacity building efforts of this program are expected to strengthen and optimize the public health system and services to improve the nation's health." American Indian/Alaska Native (AI/AN) Tribal governments, Tribal organizations, and several others are eligible to apply. Organizations not eligible for this opportunity may be eligible for the related opportunity, also found listed in this broadcast, entitled "Technical Assistance for Response to Public Health or Healthcare Crises." To learn more about this funding opportunity, click here and search for CDC-RFA-OT18-1802 in the opportunity number box on the left hand side of the page. The Public Health Improvement Training (PHIT) abstract submission period for the 2018 annual conference ends today. This training conference, which will take place June 26-27, 2018 in Atlanta, GA, offers health department leadership and professionals networking opportunities in conjunction with a series of interactive learning and skill-building sessions. Topics include performance management and quality improvement, national voluntary accreditation and reaccreditation, workforce development, health assessment, and improvement planning. Attendees will include leaders and professionals working in performance improvement and public health accreditation from national, state, local, and Tribal health departments. National Indian Health Board (NIHB) is a partner in the collaborative planning for the PHIT conference, and encourages Tribal health departments to take advantage of this opportunity to showcase the performance improvement work being done in Indian Country. The Office of Adolescent Health announces the anticipated availability of funds for States and Tribes to develop and implement programs for expectant and parenting teens, women, fathers, and their families to improve health and related educational, social, and economic outcomes. The Pregnancy Assistance Fund (PAF) grant program provides funding to States and Tribes to establish, maintain, or operate life-affirming services for expectant and parenting teens, women, fathers and their families in high schools, community service centers, and Institutions of Higher Education. The PAF program also allows States and Tribes to provide funding to its Attorney General to improve services for pregnant women who are victims of domestic violence, sexual violence, sexual assault, and stalking. Additionally, the PAF program allows States and Tribes to use grant funds to increase public awareness and education concerning any services or resources available to expectant and parenting teens, women, fathers and their families, which support the intent and purposes of this funding announcement. OAH anticipates funding up to 23 grants with an annual budget of $250,000 - $1,000,000 for a two-year project period (FOA Number: AH-SP1-18-001). To learn more, view the announcement on Grants.gov. There will be a technical assistance webinar for potential applicants on Thursday, February 1, 2018 at 2:00 pm ET (start time of 1:00pm CT, 12:00pm MT, 11:00am PT). The conference number is 888-677-1131 and the passcode is 9256839. Join the webinar directly here. The Office of Minority Health at the US Department of Health and Human Services is currently accepting applications for its Summer 2018 Youth Health Equity Model of Practice (YHEMOP) Fellowship. The program provides learning opportunities, mentorship, ongoing support and technical assistance, and the chance to lead a health equity project. The Arctic Research Consortium of the United States (ARCUS) is currently accepting applications (for self) and nominations (for others) to find Arctic Indigenous scholars - defining "scholar" as "a person who is an expert within their own knowledge system." No formal education level or professional qualifications are required. "Arctic Indigenous scholars have historically and continue to advance a variety of issues, such as food security, hunting and fishing rights, community resilience, climate change, biodiversity, and a number of other topics and disciplines. The information and understanding put forward by such scholars is invaluable. It is increasingly clear that the study of the Arctic depends upon successfully empowering Arctic Indigenous scholars with the opportunity to provide insight and expertise to those scientists studying the Arctic within the realm of academic research, often from urban-based settings. The objective of this opportunity, led by the Arctic Research Consortium of the U.S. (ARCUS) and the Inuit Circumpolar Council (ICC) Alaska, and supported by the National Science Foundation's Division of Arctic Sciences, is to create an intellectual and political space for Indigenous scholars to educate and influence policy- and decision-makers engaged in Arctic Issues from the nation's capital, Washington, D.C. If appropriate, meetings with local science educators and their students.Seminar (with live-streamed and recorded webinar) at the ARCUS D.C. office. Representatives of other nation states or inter-governmental organizations. If appropriate, meetings with local science educators and their students. In an effort to honor individuals, Tribes, organizations, and programs that have enriched and improved American Indian and Alaska Native public health, the National Indian Health Board (NIHB) invites nominations for the Native Public Health Innovation Award. NIHB created this award to recognize excellence, achievement, and innovations that are above and beyond the call of service. NIHB recognizes that public health is a traditional Native value, and that Tribes have led the way in creating and implementing public health programming and services that align not only with contemporary needs, but with cultural beliefs as well. This award will highlight the work and vision of a Tribe, individual, organization or program that has worked to improve health status, implement new programming, address long standing health disparities, and/or increase the visibility of public health concerns. NIHB will present the award at the 9th Annual Tribal Public Health Summit in Prior Lake, Minnesota during a plenary session. All nominations should be received by 11:59 p.m. ET on Tuesday, February 20, 2018. The winner will be notified within three weeks upon close of the nominations. The Centers for Disease Control and Prevention (CDC) is seeking nominations for membership on the Interagency Committee on Smoking and Health (ICSH). The ICSH consists of 5 experts in fields that represent private entities involved in informing the public about the health effects of smoking. Nominations are being sought for individuals who have expertise and qualifications necessary to contribute to the accomplishments of the committee's objectives. Nominees will be selected based on expertise in the fields of the health effects of smoking. Additionally, desirable qualifications include: (1) Knowledge of the intersection of behavioral health conditions (mental and/or substance use disorders) and tobacco use/tobacco control; and/or (2) familiarity and expertise in developing or contributing to the development of policies and/or programs for reducing health disparities in tobacco use in the United States; and/or (3) knowledge of emerging tobacco control policies and experience in analyzing, evaluating, and interpreting Federal, State and/or local health or regulatory policy. Federal employees will not be considered for membership. Members may be invited to serve for four-year terms. Selection of members is based on candidates' qualifications to contribute to the accomplishment of ICSH objectives. Click here to learn more about ICSH. Nominations for membership on the ICSH must be received no later than February 28, 2018. Packages received after this time will not be considered for the current membership cycle. All nominations should be mailed to Monica Swann, Office on Smoking and Health, National Center for Chronic Disease Prevention and Health Promotion (NCCDPHP), CDC, 395 E. Street SW, Room 9167, Washington, DC 20024, emailed (recommended) to [email protected]gov, or faxed to (202) 245-0554. For further information, contact Simon McNabb, Designated Federal Official (DFO), ICSH, Office on Smoking and Health, NCCDPHP, CDC, 395 E. Street SW, Room 9167, Washington, DC 20024, telephone (202) 245-0550; [email protected]. Award amounts from $100,000 to $300,000 available from the Administration of Children and Families provides support for community-based initiatives that empower Native youth to address priorities identified by such youth and include youth-focused leadership. As well projects are funded to develop models, approaches and strategies to foster resiliency and build upon Native youth's inherent capacities to thrive. The Substance Abuse and Mental Health Services Administration (SAMHSA), Center for Substance Abuse Treatment (CSAT) is accepting applications for fiscal year (FY) 2018 Grants to Expand Substance Abuse Treatment Capacity in Family Treatment Drug Courts [Short Title: Family Treatment Drug Courts (FTDC)]. The purpose of this program is to expand substance use disorder (SUD) treatment services in existing family treatment drug courts, which use the family treatment drug court model in order to provide alcohol and drug treatment to parents with a SUD and/or co-occurring SUD and mental disorders who have had a dependency petition filed against them or are at risk of such filing. Services must address the needs of the family as a whole and include direct service provision to children (18 and under) of individuals served by this project. Tribes, Tribal organizations, urban Indian organizations, and consortia are eligible to apply. Funds are available for up to 20 awardees to complete projects of up to five years with up to $425,000 available per year. The Pediatric-Integrated Care Collaborative works with professionals offering child trauma services by integrating behavior and physical health services in Native Communities. They are looking for a provider setting to participate in a Learning Collaborative opportunity. The provider setting should offer services to children, and either have mental health services on site or a mental health partner that they are interested in working with. Customize, adapt and evaluate a Toolkit's recommended structures, resources and processes for the unique needs of Native American communities. To apply or ask a question, contact Susan Larson, 410-502-5969; [email protected] or Dr. Larry Wissow,410-614-1243; [email protected] for an application or further information. NEHA is pleased to announce the fourth year of the National Environmental Public Health Internship Program, which is funded by CDC's Environmental Health Services Branch. Local, state, and Tribal environmental health departments can apply to host one of 35+ environmental health internships during summer 2018. Students from universities with undergraduate and graduate environmental health programs accredited by the National Environmental Health Science and Protection Accreditation Council may be eligible for internships. NEHA encourages health departments to apply to host an intern by submitting an application by January 3, 2018. Apply here. Health Services Research (HSR) and Centeres for Medicare and Medicaid Services - Office of Minority Health (CMS OMH) are jointly publishing a Theme Issue about Health Equity. For this issue, they are requesting submissions of studies, evaluations, and policy analyses that use rigorous and scientific research methods to promote health equity and reduce health disparities. Work can be related to public health, health services research, medicine, nursing, pharmacy, public health, sociology, and other fields. The National Institutes of Health (NIH) recently posted two funding opportunities to support collaborative research between Tribal Epidemiology Centers and extramural investigators on topics related to minority health and health disparities in American Indian / Alaska Native (AI/AN) populations. Tribal governments, Tribal organizations, and others are eligible to apply. The National Institute on Minority Health and Health Disparities (NIMHD) will hold a webinar for information and technical assistance on the funding programs. There will be opportunities to ask questions. The webinar will take place on Wednesday, November 1, 2017 from 3:00-4:30 pm EDT. The National Institutes of Health is offering a funding opportunity to support the planning and development of translational research programs focused upon cancer health disparities. The Centers for Disease Control and Prevention (information HERE) and the American Indian Cancer Foundation (information HERE) provided facts about the seriousness of cancer disparities in American Indian/Alaska Native (AI/AN) populations. This research must focus on racial/ethnic minority populations, including AI/AN people. Nonprofits, institutions serving Alaska Natives/Native Americans/Native Hawaiians, and Tribally Controlled Colleges and Universities are among those eligible to apply. The National Institute on Minority Health and Health Disparities (NIMHD) hosts the Minority Health and Health Disparities International Research Training Program (MHIRT) which funds institutions to offer 10-12 week long research training opportunities for graduate and undergraduate students from minority populations. The program funds institutions of higher education. Participating students must be members of health disparity populations who are underrepresented in sciences. This includes American Indians and Alaska Natives, individuals from socioeconomically disadvantaged backgrounds, individuals from rural ares, and several other racial and ethnic minority groups. The purposes of this program include: encouraging underrepresented students to begin careers in biomedical or behavioral health research and expose minority students to research initiatives addressing global health disparities. Applications to the Robert Wood Johnson Foundation (RWJF) Health Policy Fellowship program are now open for the 2018-19 fellowship year. This is a mid-career fellowship program that is based in Washington, DC and gives you the opportunity to learn about and participate in the policy process through a placement in the legislative or executive branch of government. After orientation, many fellows work in the House or Senate, either on committee staff or private office staff, while others who work in the executive branch serve in DHHS, or other federal agencies that are linked to health. The RWJF Health Policy Fellows program provides the nation's most comprehensive learning experience at the nexus of health, science, and policy in Washington, D.C. It is an outstanding opportunity for exceptional mid-career health professionals and behavioral and social scientists with an interest in health and health policy. Fellows participate in the policy process at the federal level, gain an insider's perspective of the political process, develop unmatched leadership skills, and build a professional network that lasts a lifetime to accelerate careers as a leader in health policy. This webinar will provide an overview of the FY 2018 Farm to School Grant Request for Applications. Learn about the goal of this funding opportunity, eligibility requirements, the application process and how to set you and your team up for grant application success! This webinar is tailored to applicants interested in crafting proposals that will serve Native Communities. Seventh Generation Fund is "an Indigenous identity-based organization dedicated to the self-determination of Native Peoples and the sovereignty of our distinct Nations that mobilizes financial, technical, and informational resources directly to Native communities to empower action." Seventh Generation is currently accepting proposals for grant awards ranging from $250 to $10,000 with average grants around $5,000. Grants are available nationally for projects in health and well-being; leadership development; art and creativity; peace, equity, and justice; sustainable communities and economies; and the environment. 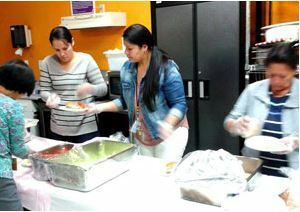 The primary goals of the program include meeting the food needs of low-income individuals; increasing the self-reliance of communities in providing for their food needs; promoting comprehensive responses to local food access, farm, and nutrition issues; and meeting specific state, local, or neighborhood food and agricultural needs. The Federal Emergency Management Agency (FEMA) at the Department of Homeland Security is accepting applications for preparedness (non-disaster) grants. FEMA will award $1.6 billion total to up to ten local, state, Tribal, nonprofit, and private entities for their preparedness programs. Grants are intended to support readiness and response in mitigating terrorism, disasters, and other emergencies. The purpose of the IHS Behavioral Health Integration Initiative (BH2I) grant opportunity is to improve the physical and mental health status of people with behavioral health issues by developing an integrative, coordinated system of care between behavioral health and primary care providers. This effort supports the IHS mission to raise the physical, mental, social and spiritual health of AI/ANs to the highest level. Increasing capacity among IHS, Tribal, and Urban Indian Organization (I/T/U) health facilities to implement an integrative approach in the delivery of behavioral health services, including trauma-informed care, nutrition, exercise, social, spiritual, cultural, and primary care services will improve morbidity and mortality outcomes among the AI/AN population. In addition, this effort will support activities that address improving the quality of life for individuals suffering from mental illness, substance use disorders, and adverse childhood experiences. Other outcomes related to this effort include improved behavioral health services that will increase access to integrated health and social well-being services and the early identification and intervention of mental health, substance use, and serious physical health issues, including chronic disease. Applications for $500,000 are due September 14, 2017. More information for grantees is available at 2017-17103. IHS Federal facilities: IHS-operated facilities may apply for a BH2I Federal program award. Please visit https://www.ihs.gov/dbh/newsannouncements/fundingannouncement for more information. The purpose of the IHS Preventing Alcohol-Related Deaths cooperative agreement is to increase access to community-based prevention strategies to provide social detoxification, evaluation, stabilization, fostering patient readiness for and entry into treatment for alcohol use disorders and when appropriate, other substance use disorders. Applicants must have a fully operational and staffed social detoxification program that provides all three critical components of the detoxification process that primarily serves Indians. IHS will use this funding to focus on the provision of services in the Navajo and Great Plains Areas. Congress has highlighted that the community of Gallup, New Mexico, continues to face urgent needs for substance abuse treatment, residential services, and detoxification services to address an ongoing crisis of alcohol-related deaths of Tribal members. Senate Appropriations Committee Report 114-281 expressed the Committee's expectation that IHS use funds provided in its appropriation to continue its assistance toward addressing this issue in the city of Gallup, New Mexico. Additionally, IHS is aware of the urgent need for alcohol detoxification services in the Great Plains Area. IHS anticipates making two awards: 1 for Navajo and 1 for Great Plains. Applications are due on September 14, 2017. More information for applicants is available at 2017-17102. The National Indian Health Board (NIHB), with support from the Centers for Disease Control and Prevention, Office for State, Tribal, Local, and Territorial Support, is providing awards to eligible Tribal entities for the Tribal Accreditation Support Initiative (Tribal ASI). The Tribal ASI will fund 15-20 Tribes or Inter-Tribal Consortiums at amounts ranging from $5,000 to $10,500 to work in one or more categories related to strengthening the Tribal health entity in working towards public health accreditation as defined by the Public Health Accreditation Board. Completed applications are due to NIHB via email by Friday, September 1, 2017, by 11:59 p.m. Eastern Time. On August 3, at 2:30 p.m. Eastern Time, NIHB held a webinar about the funding opportunity. The time has passed, but the webinar was recorded and will be available soon on the NIHB Tribal ASI webpage. Follow the link for the RFA below. The total amount of funding identified in FY 2017 is approximately $3.6M. Individual award amounts will range from $50,000 to $200,000 for IHS, Tribes, and tribal organizations. Urban Indian organization awards will be $100,000 each. The project period will operate from September 30, 2017 to September 29, 2020, dependent upon appropriations.